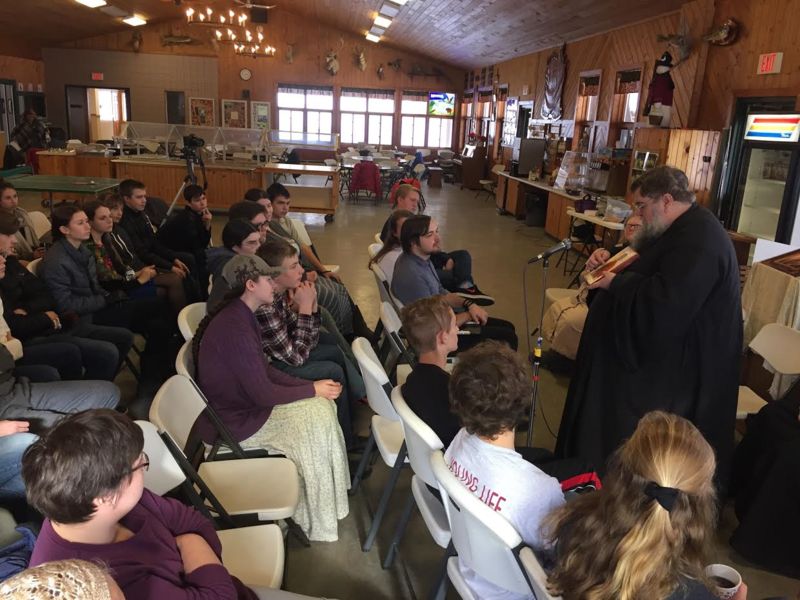 Diocese of Chicago and Mid-America - ROCOR - St. Herman's Conference 2016: "The Orthodox Witness in a Technological World"
it is for Youth to Dwell Together in Unity! 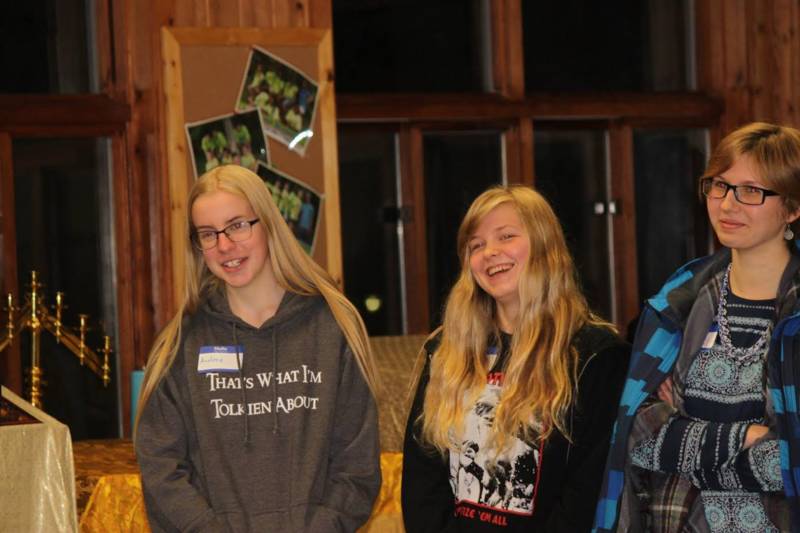 The annual St. Herman Youth Conference of the Diocese of Chicago and Mid-America began December 27th, 2016, at a lakeside retreat center just north of Kalmazoo, Michigan. 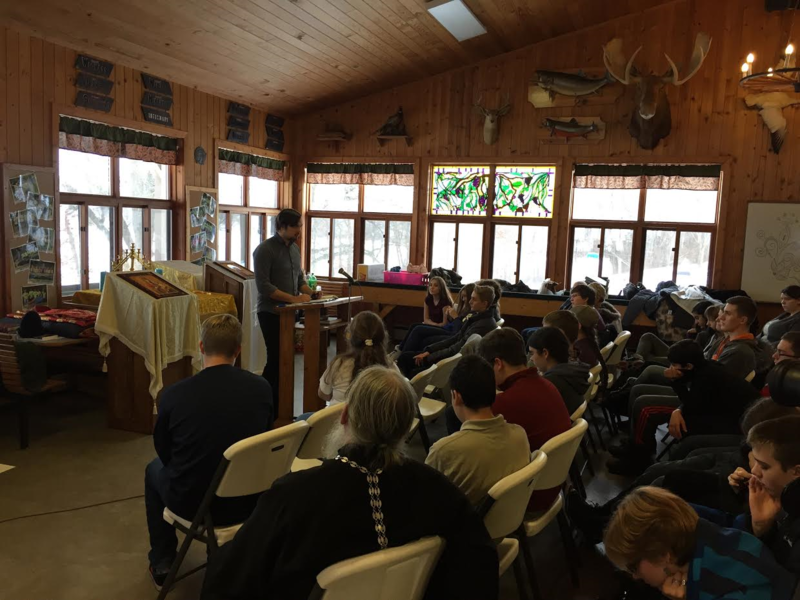 More than forty teenagers, seven clergymen and six chaperones assembled from across the diocese and beyond – from Texas north to Minnesota and from Oklahoma east to Maryland. 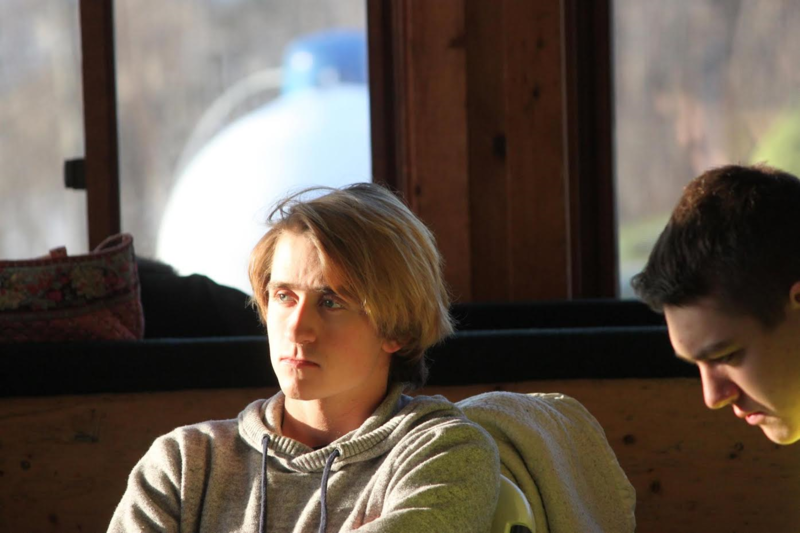 "College, Keeping the Faith, and How I Almost Lost Mine" (Misha Moibenko). Each speaker spoke with faith, passion and enthusiasm, along the way sharing a valuable pearl or two from their own experience with the audience. Engaging conversations followed both immediately after each talk and in more informal settings. 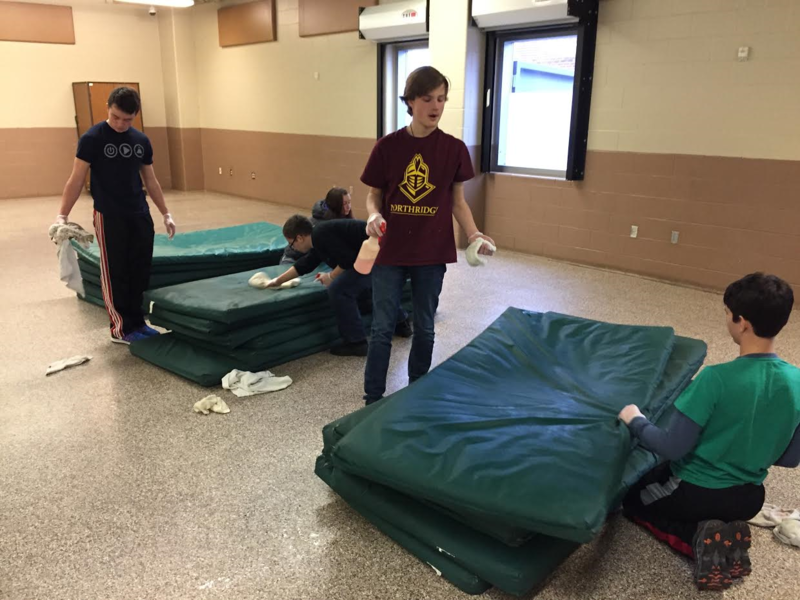 Just as Orthodoxy is far from a collection of ideas, but rather a faith that is lived, the conference invited the youth to put their faith into action by serving others. 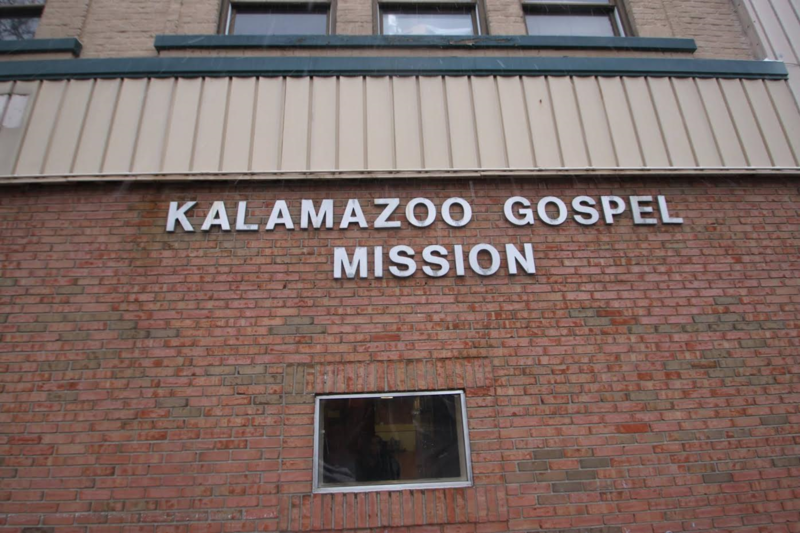 The group spent half a day volunteering at the Kalamazoo Gospel Mission. 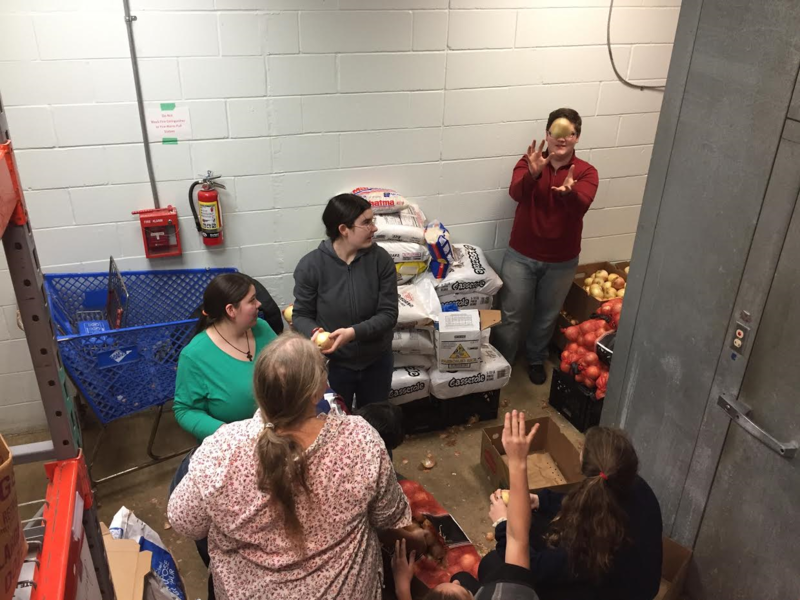 The tasks were many and varied: one group labored in the food pantry, a few sorting through boxes of donated onions so they could throw out the spoiled ones as others read the labels on all the canned goods in the food pantry’s store room, discarding the ones that had already expired. 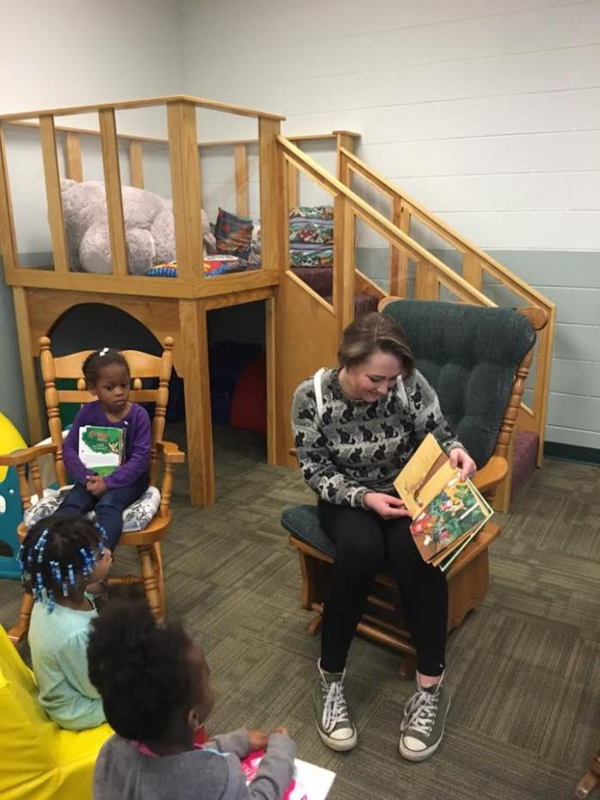 Another group read stories to young children whose mothers were residents in the women’s shelter while a few washed down the bathrooms and yet another group cleaned the sleep mats for the men who come to homeless shelter every evening. The spiritual life also took shape in the common labor of prayer. Morning and evening prayers were read by the youth each day. 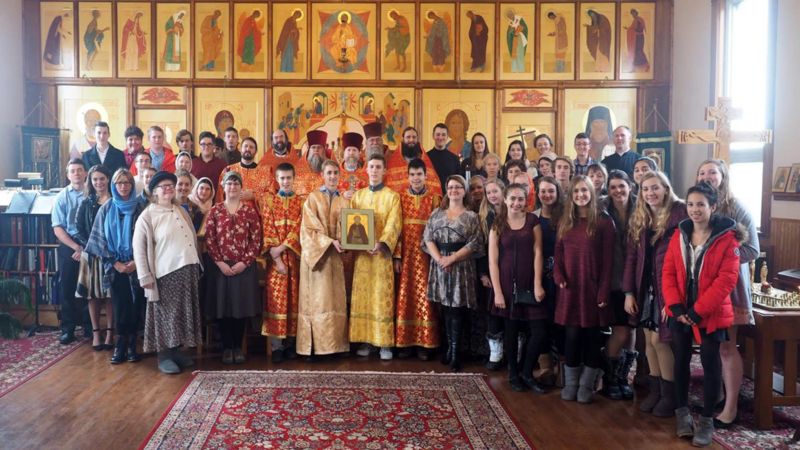 In just 4.5 hours of choir rehearsal, the group learned all the music so that they would be able to sing and read the entire Vigil and Divine Liturgy held at the conference’s final evening and morning. 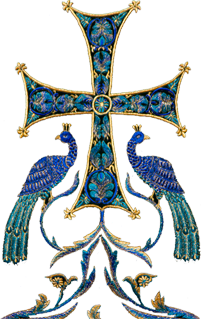 Under the direction of Larissa Sander and Fr. 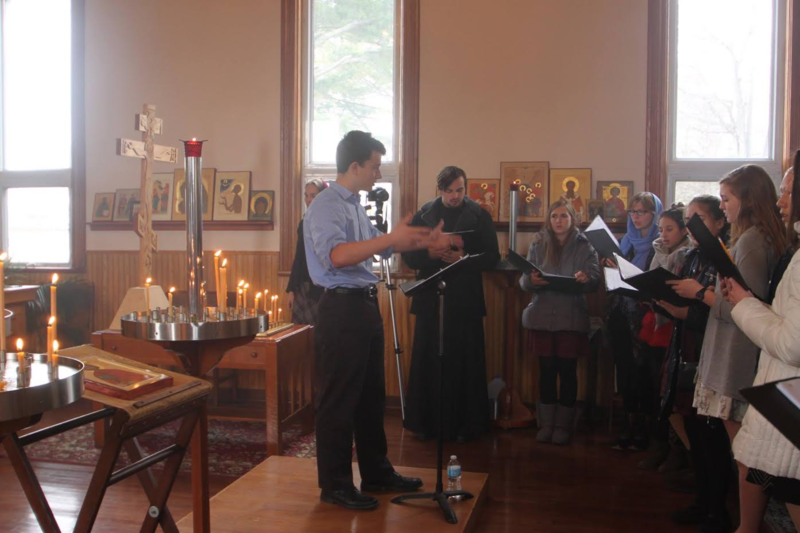 Deacon Alexander Petrovsky (Chairman and member, respectively, of the Diocesan Liturgical Music Committee), each and every member of the conference participated in singing and reading the Divine Services. 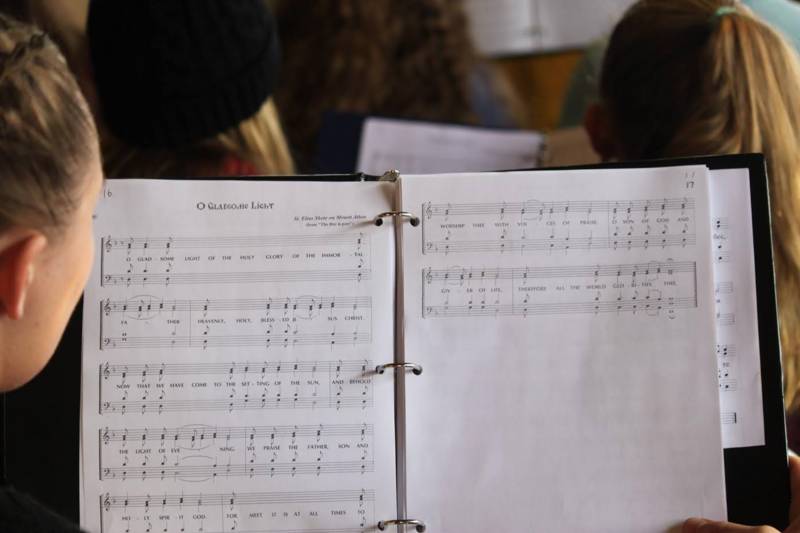 For some, this was both a first and an experience that kindled a love for singing they will take home to their parishes. 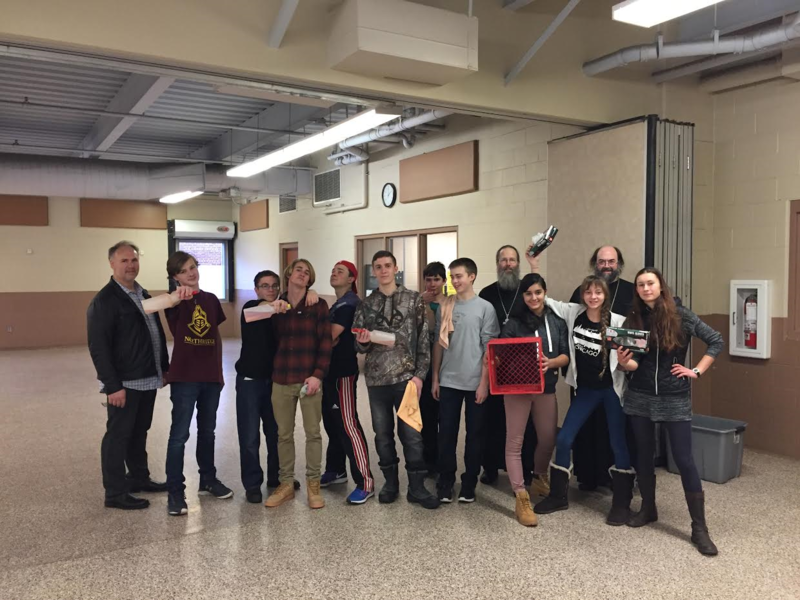 For John Arlievsky, Sophia Loban, Gabriel Sander, and John Temidis, it gave them the chance to develop their nascent choir-directing skills. Fr. 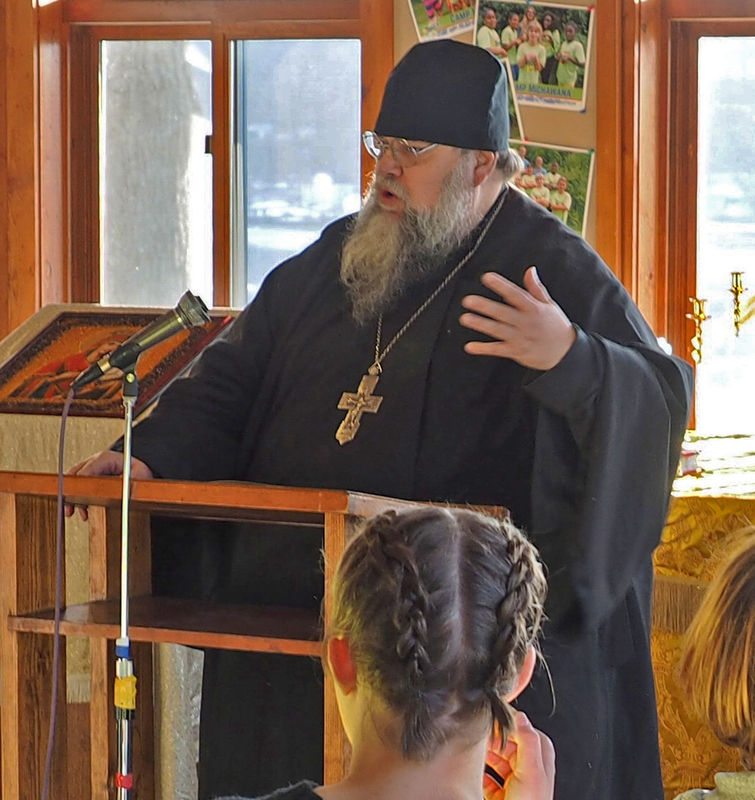 Michael Carney, rector of the host St. Herman of Alaska parish in Lake Odessa, and Fr. Deacon Elias Reeves welcomed everyone to their beautiful parish for the liturgy. Under the organization of Mat. 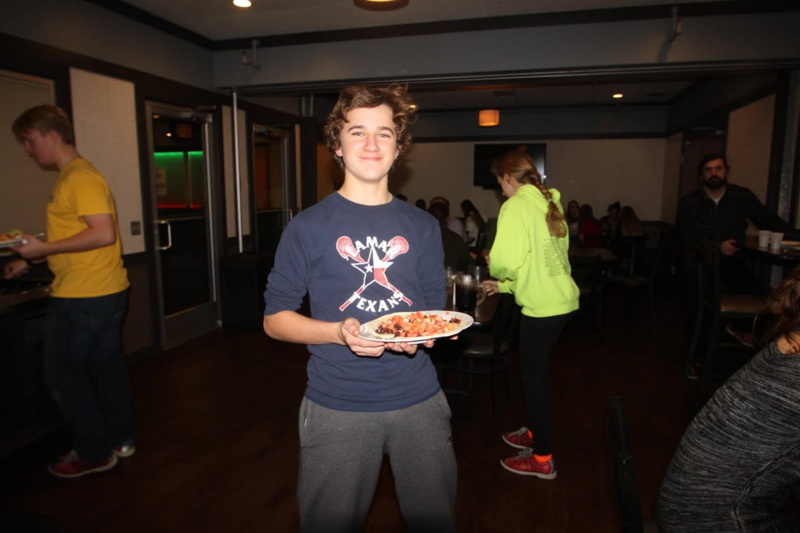 Darya Carney, the parish sisterhood provided a delicious meal. While the spiritual food was rich over the five days of the conference, there was plenty of time for these youth to enjoy each other’s company. 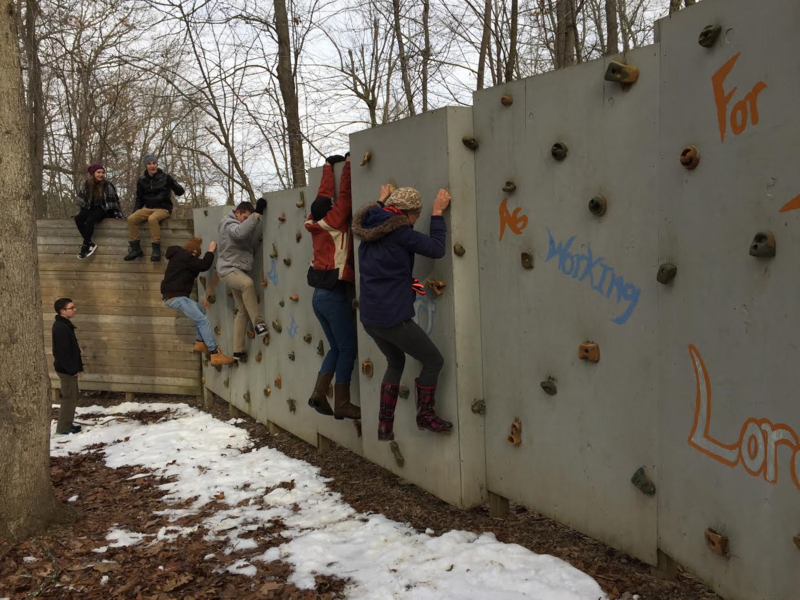 The retreat center had a beautiful property with a rock climbing wall and a human-foosball court. 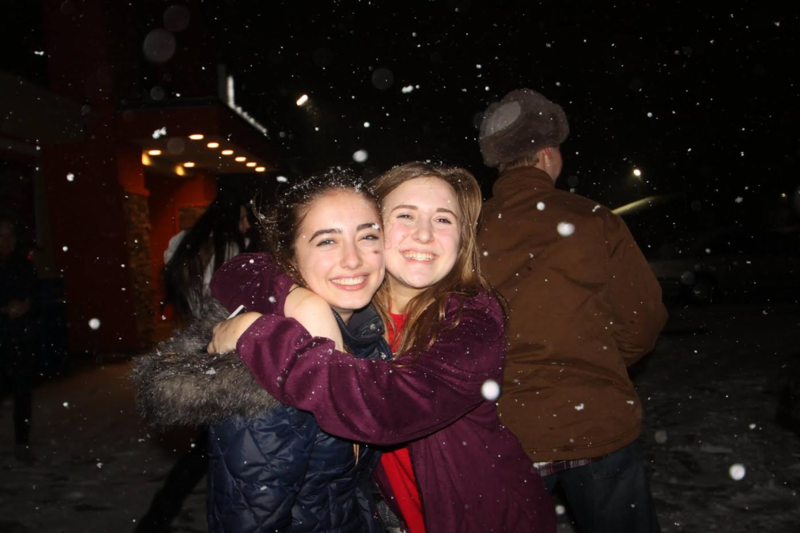 There were enough scattered patches of snow at the start of the conference for snowball fights; by the end ample snow had fallen for inner tubing on a grassy hill. 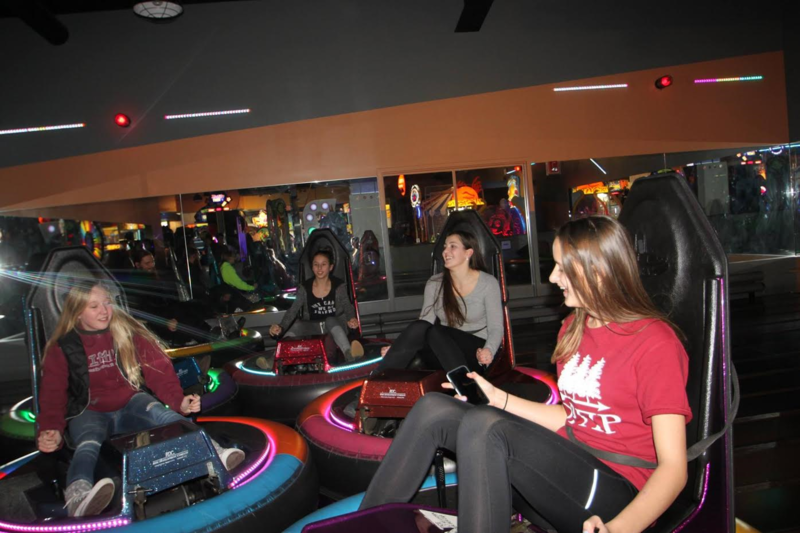 After venturing into Kalamazoo for volunteer work, the conference stopped off at a fun center, to bowl, ride bumper cars and devour a fish-taco buffet. 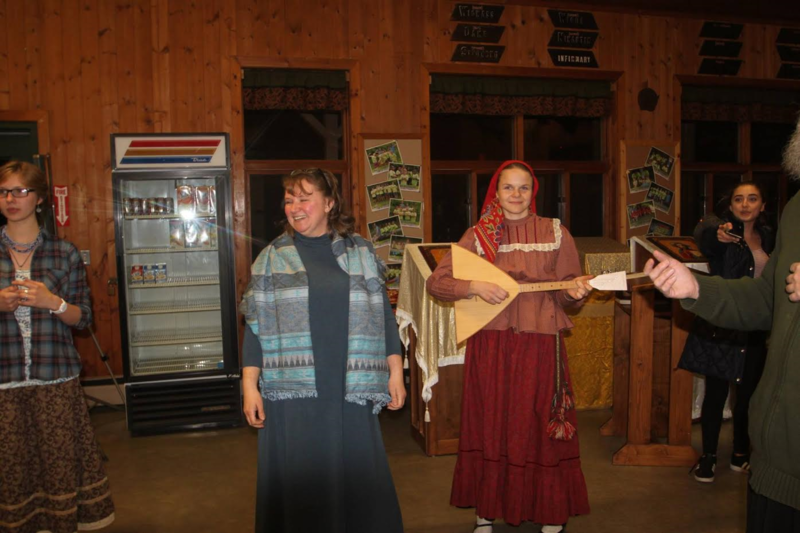 When they returned to the conference center, Anastacia Klizmo and Leta Nikulshina from St. Vladimir parish in Ann Arbor introduced the teenagers to an evening of traditional Russian fun, village-style. Known as a Vechorka, the kids danced to balalaika music, raced around a circle in pairs and mastered new folk dancing steps. 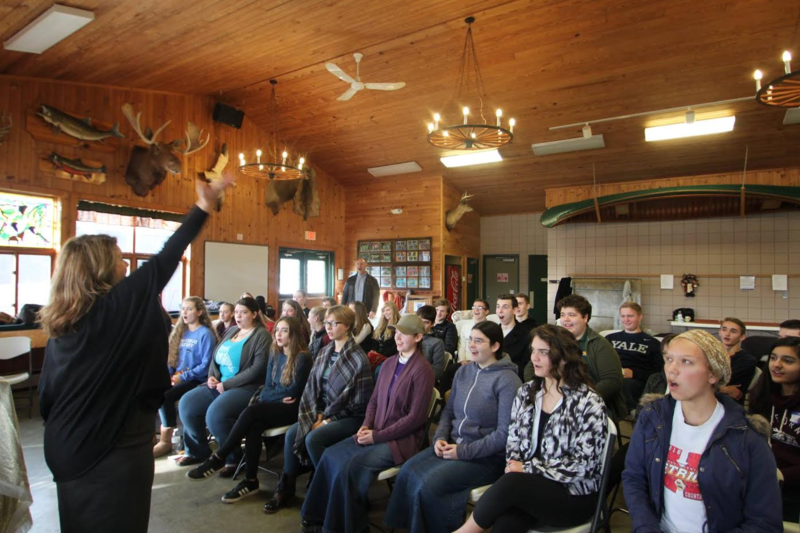 The youth in our parishes spend the vast majority of their lives isolated from one another, swimming upstream in a youth culture rushing anywhere but toward salvation. 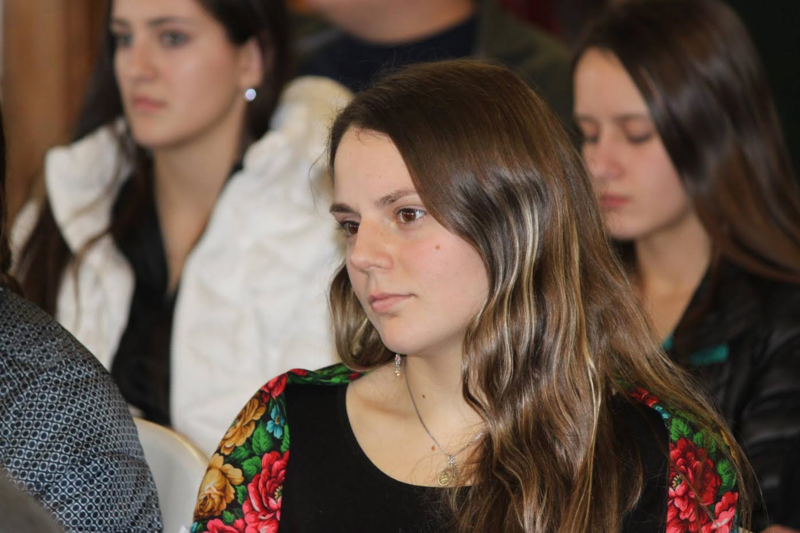 Conferences like these are one of the few times these youth will experience being an Orthodox Christian to be the norm. At the St. Herman conference, everyone fasts, prays standing, and goes to confession and communion. 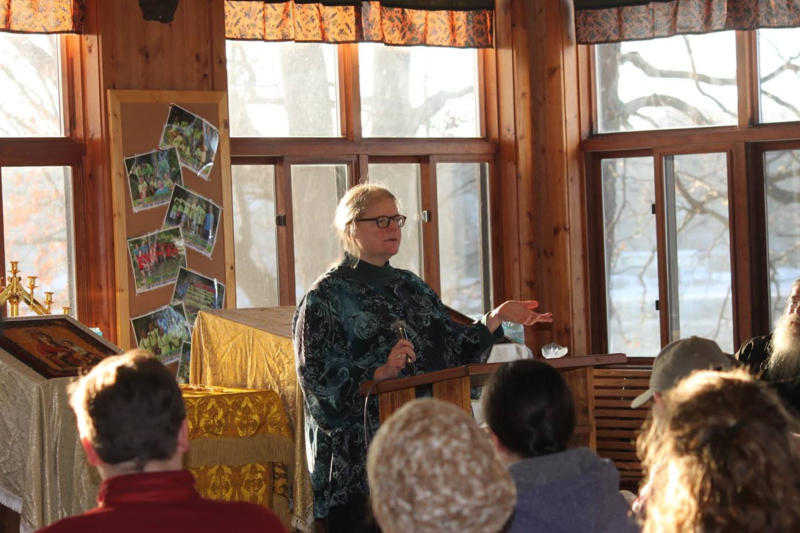 Nourished by the grace and fellowship so abundant at the conference, these youth departed for their separate homes with new insights and new friends. 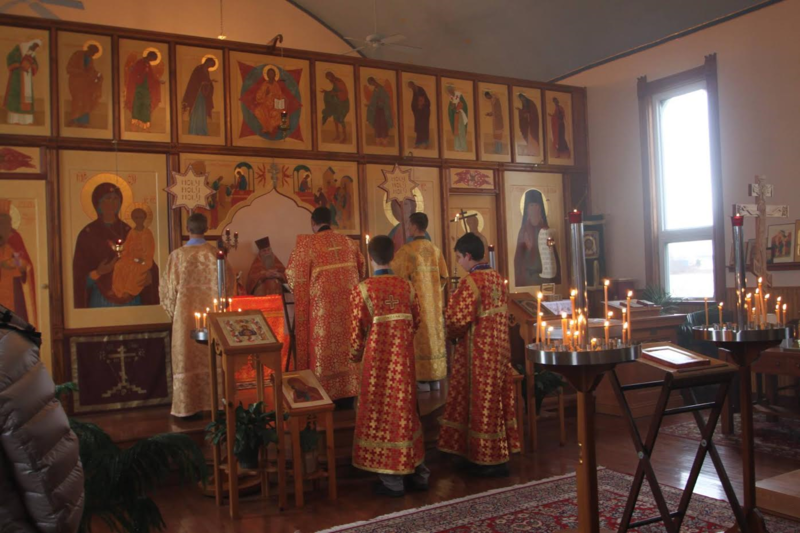 Indeed, it is good for our Orthodox youth to dwell together in unity! 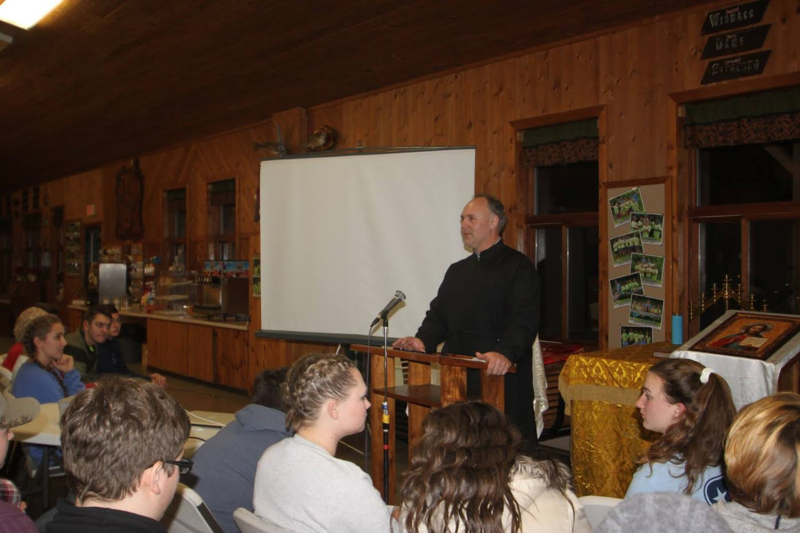 The DCMA St. Herman conference was organized by the Diocesan Youth Committee. 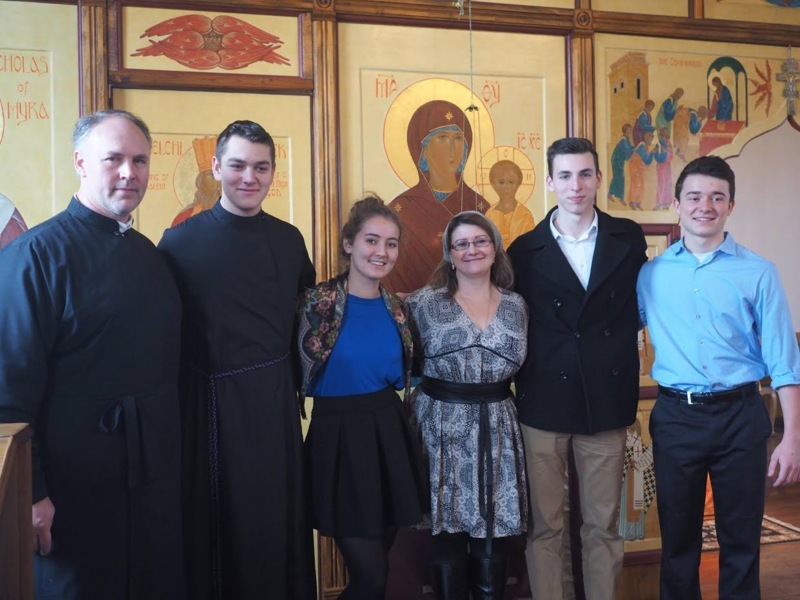 The Youth Committee would like to thank the St. John Kochurov Society and the Fund for Assistance for their generous financial support as well as parishes within our diocese who made collections on the Day of Youth (Sunday of All Saints). These gifts supported the operation of the conference as well as scholarships for participants.